A woman is thanking a Spokane, Washington, police officer for saving her life after he helped her escape when she became trapped inside a burning vehicle. A local television station reported that Kim Novak was driving home from the grocery store Friday night when her car hit frozen slush and broke down. Novak says she began to see smoke but couldn't get out because of the vehicle's power locks. She called 911 and then noticed flames coming from the front of the windshield. Novak says she tried kicking out the windows but was unsuccessful. 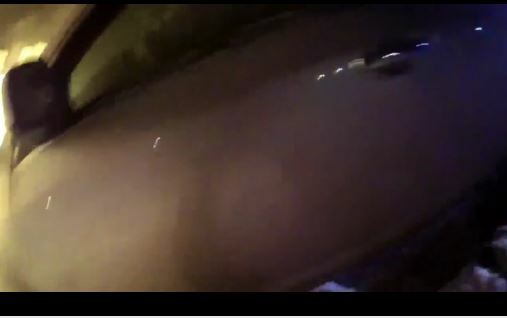 Officer Tim Schwering eventually arrived and began smashing the window with his baton. After several strikes, he cracked a hole big enough for Novak to fit through and pulled her out to safety. Novak called Schwering "a genuine hero."